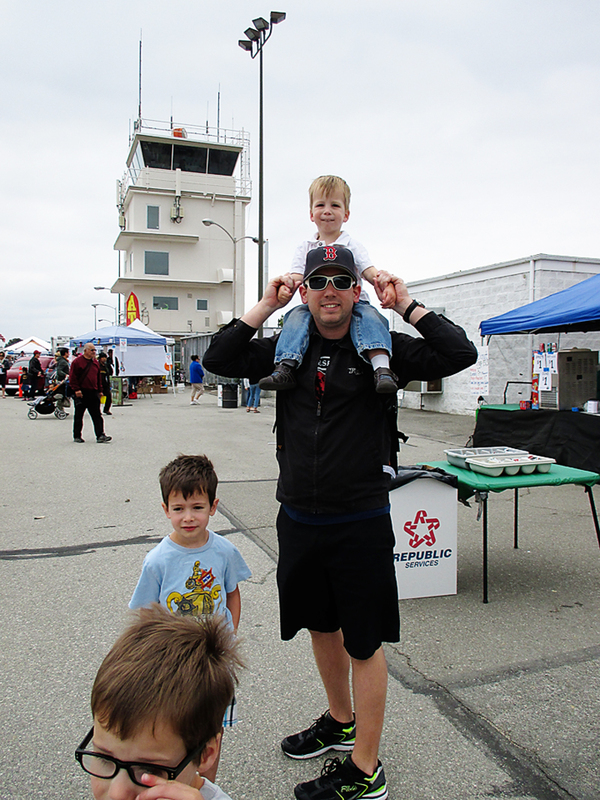 After a super fun time at Train Days at the train station, we were ready and excited for Airport Day at our small local airport. 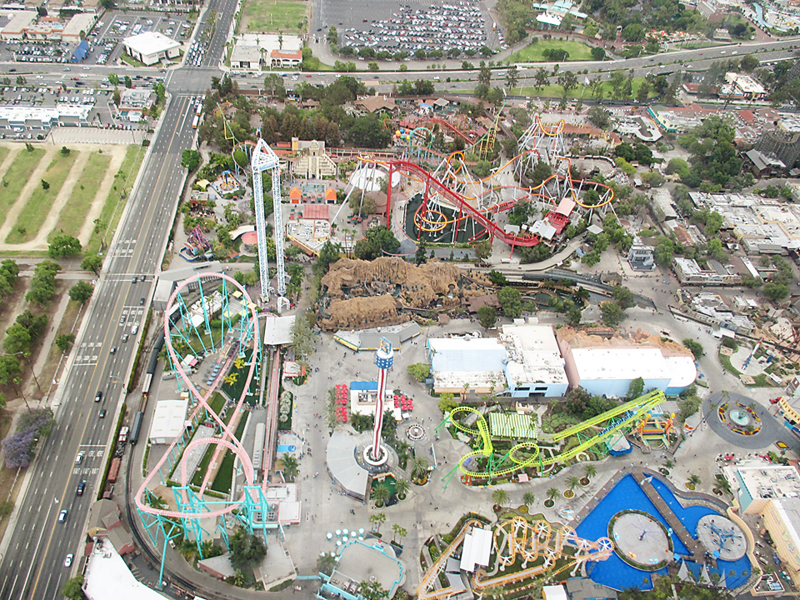 It was just right for us: not too big, not too crowded, and not too loud. 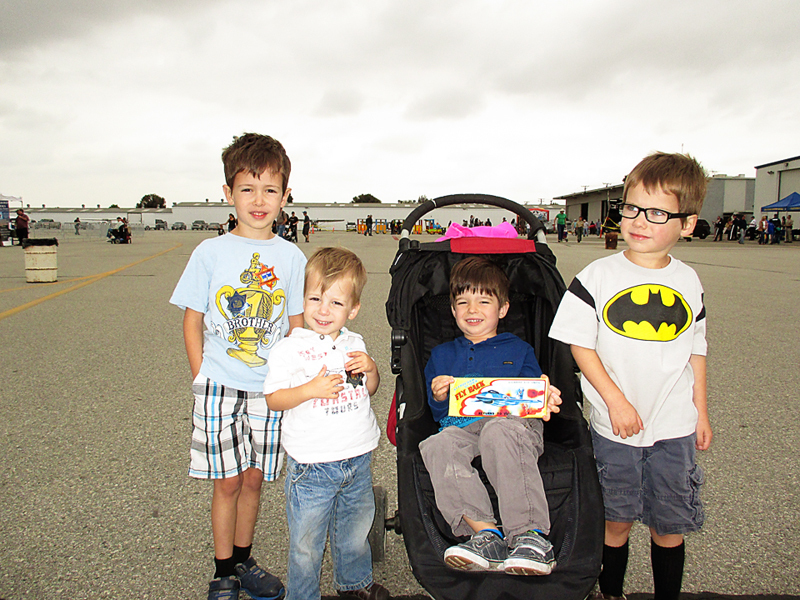 It was a great way to prep the boys for the bigger air shows later. 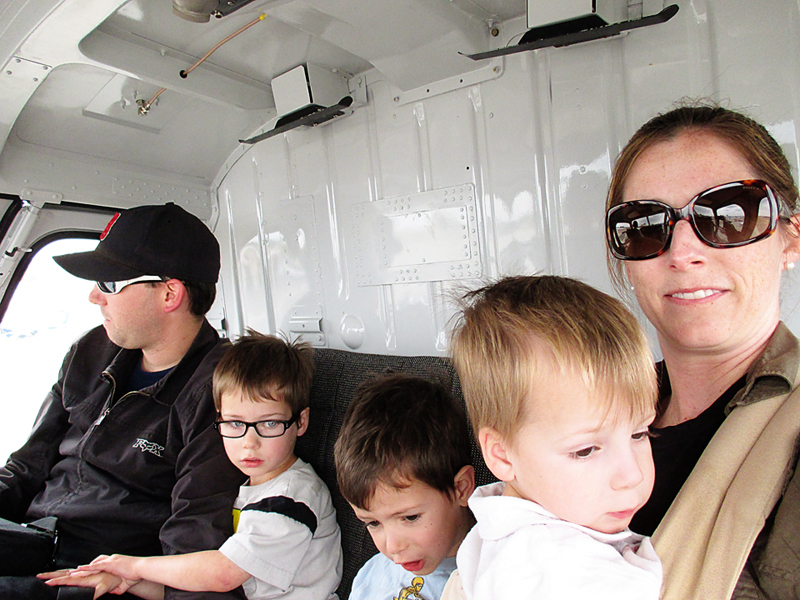 We met Grandma and Grandpa there, and our first stop was the helicopter ride. Yes, helicopter ride! I always thought a helicopter was the last mode of transportation you’d ever get me on. And I sure as heck would never let my children on one… at any age. But the idea came up and seemed like a fun adventure, and well, I didn’t have time to stop and worry about all the what-ifs, so we went! My six year old was excited, then worried, then refused to go, but we told him how special this opportunity was, and he agreed it would be awesome! The other boys were too young to be scared, I guess. We received our safety briefing, and we were on our way. We walked up to our helicopter then were escorted away from it and they turned off the engine. Now, I was getting nervous. Something was wrong, and I didn’t know what. It turned out to be a communication issue, and we were assigned a different helicopter. Once again, we were off. We strapped everyone in, our boys held onto us, and we lifted off! We enjoyed the view, and spotted places we knew. I had thought helicopters looked unstable and dangerous, but I was surprised at how secure I felt and how smooth the ride was. Now I just want to do it again… and again! And the boys feel the same way! After our epic trip, we watched a fire helicopter demonstrate a water drop, which was pretty cool. Later, we had an extremely close fly over of the blimp. The picture does not accurately convey how very close it was. At one point we thought it might be on a crash course into… us! It was a windy day after all. 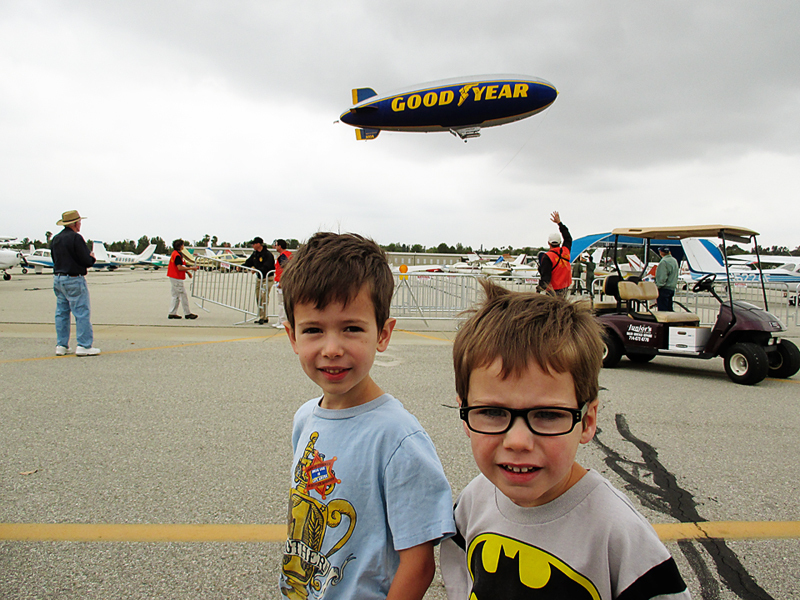 As we watched the blimp move on, we spotted my brother-in-law and my adorable niece and nephew! 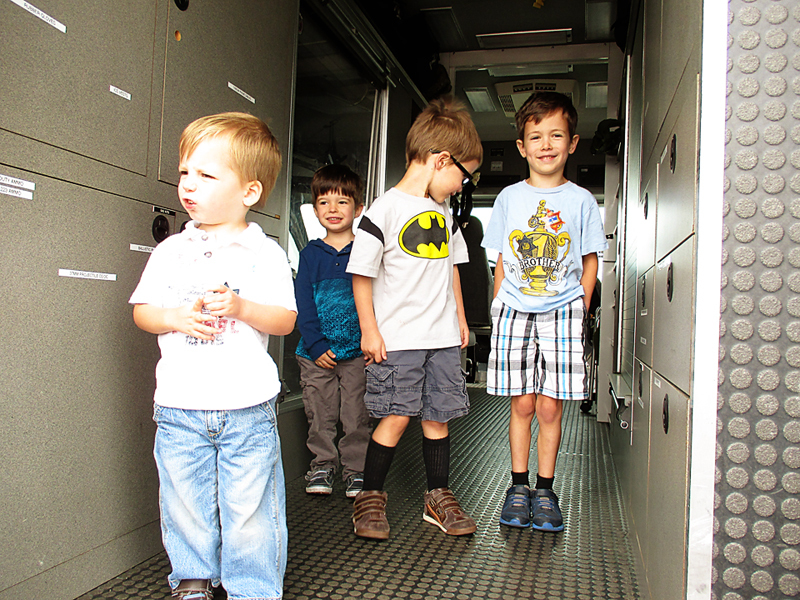 Totally made the boys’ day! They thought it was so magical to find their cousin there. The love of flight just runs in the family. We did some exploring together. 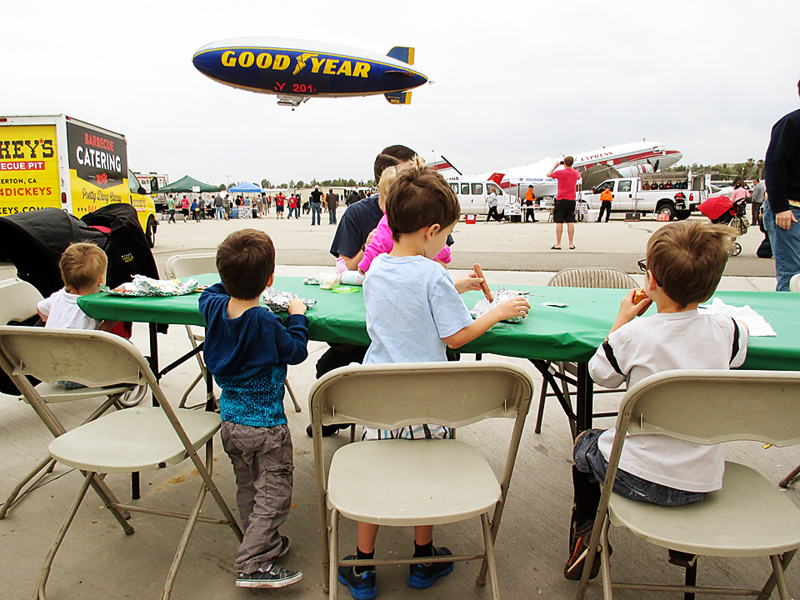 Then, we had lunch, and had a surprise second fly over of the blimp. Then, we said good-bye to our cousins and the airport as well. It was a great day!